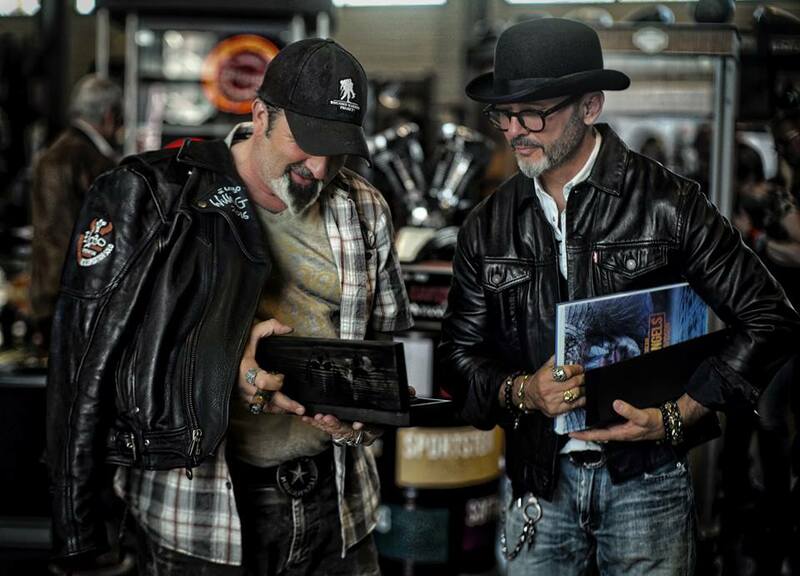 Last April 23rd, during the open house at Harley-Davidson Grand Avignon, two icons from the bikers world met each other. 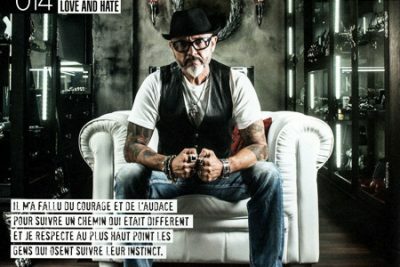 For this occasion the creator Thierry Martino had made a very special jewel for the adventurer Eric Lobo. 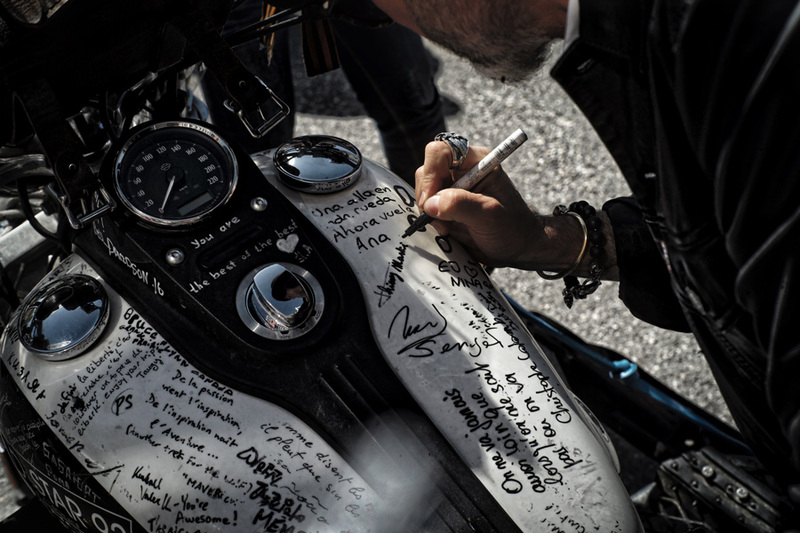 ”Never ride faster than your angel can fly” Written around the signature ELOBO. 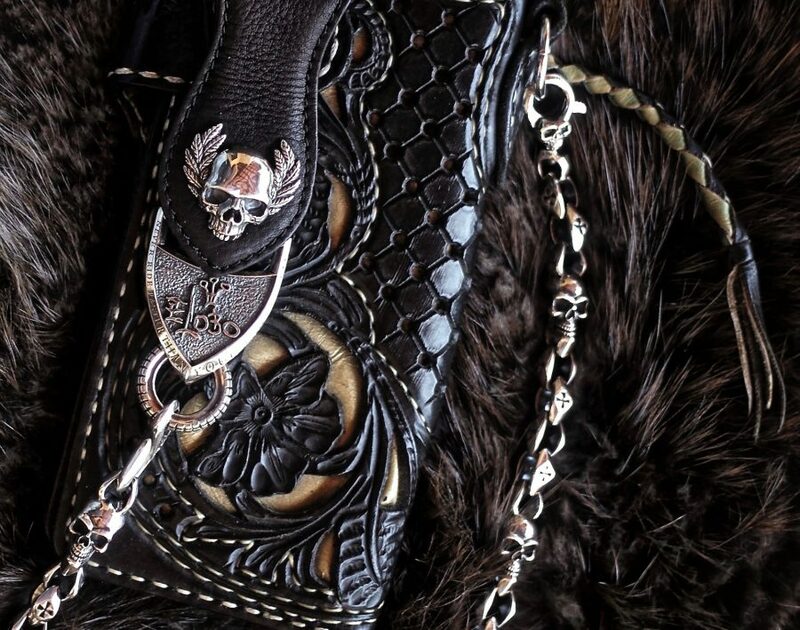 A wallet chain with the famous ”SoulFetish skull” links.